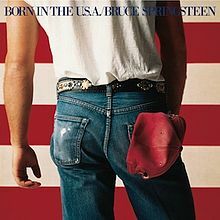 For a good many people, the “Born in the USA” album from Bruce Springsteen was the album of the year in 1984. No one can debate how successful this album was. Any album which sell 11 million copies certainly is that. 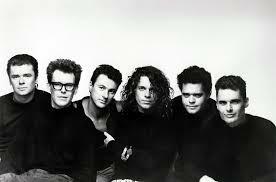 For the Top 40 brigade, it produced seven singles and like U2, Bruce Springsteen was one of those artists who both metalheads and non metalheads could listen to and not feel they were being unfaithful to their chosen genre. Needless to say, 1984 was Bruce’s year and this album was the reason why. Now, I’m not one to rain on anyone’s parade but I am going to make my opinion known as it was the same now as it was then. Like the rest of the world, I agree that this is a fine album. It was certainly four steps up from his previous album, the rather depressing, “Nebraska,” but I don’t rate this album as high as classics like “Born to Run” and “Darkness on the Edge of Town” and only slightly higher than “The River.” Still, unlike outgoing governor Chris Christie, Bruce Springsteen has always made me feel proud that I grew up in New Jersey. Reflecting back, I think my main problem with “Born in the USA” was the fact that all of the singles got played to death on the radio at the time. That usually happens in any artist’s home ground so New Jersey radio stations did that. However, some of the singles got tiresome after hearing them played for the 957th time. “Glory Days” and “I’m On Fire” were examples of this and probably “Dancing in the Dark” as well. They were all good songs but got old after hearing them so many times. Saying that, “Cover Me” is the big exception here. I could hear that song 9050 times and wouldn’t get tired of it. Fortunately, the great thing about the album was the tracks that weren’t singles. They’re all brilliant! There is some good traditional Springsteen rock to be had on all five of these. I’m talking about “Darlington County,” “Working on the Highway,” “Downbound Train,” “No Surrender” and “Bobby Jean.” For me, it is these tracks that have made “Born in the USA” so enjoyable for me. While most people have raved about the songs on here, I think what often gets overlooked is the lyrics behind many of these songs. Personally, I can identify a tiny bit with the title track. I didn’t serve in Vietnam but Bruce highlights how badly those who served over there were treated. I had been out of the service about a year and by this time, I was beginning to wonder what had been the point of my serving due to the way I was being treated. Only the Vietnam Vets had it far worse than I ever did. The real eye opener was “My Home Town.” It was about his native town, Asbury Park and what was happening while he was growing up. It does make one stand up and think of how divided the nation really was back in the 1960s. Bruce let his feelings be known when he wrote these songs. It is slightly amazing that in a year where heavy metal dominated, a great rock album like “Born in the USA” could do so astronomically well. It was considered by many Bruce Springsteen’s crowning achievement. 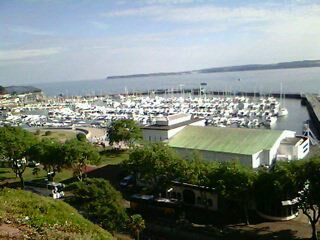 These photos aren’t the cover of the 1980 album “The River” from Bruce Springsteen, they are of my little vacation in Torquay on the southwest coast of England. Being American, I like to show my holiday snaps to everyone, so I thought I would show mine here. Don’t worry, there are only two. I did find a pub that sometimes has metal bands playing there, but not on the night I went. 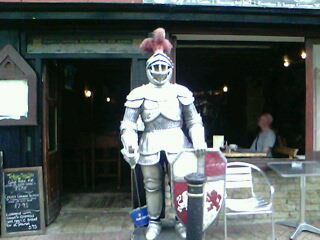 I didn’t go into that pub, but I loved the suit of armour so I snapped it. Well, holiday over, onto The Boss! 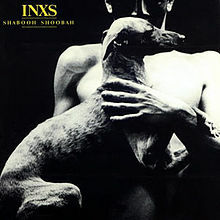 If it wasn’t for me hearing about this album while I was on sea duty during the last four months of 1980 and the first two of ’81, I would have delayed the album to 1981. I can’t remember who it was but one of my fellow marines had a copy of “The River” by Bruce Springsteen (cassette, always cassette in the military due to limited living space) and played it to which I have to say that I was duly impressed. The very first track, “The Ties That Bind” is all you could ask for with a traditional Springsteen album and sets the stage throughout this impressive double album. What I really like about it too is that fact that it talks about the two sides of life. There are some fun happy tracks like “Sherry Darling” and “Crush On You” but it also talks about some of the more depressing things of that time, recession, unemployment and other aspects of life that aren’t all apple pie and smiles. The title track for me was the sign of the time for many people then and there was no getting away from that. The track “Drive All Night” has been used in not one but two films, “Copland” and “Reign Over Me.” However, no matter what the mood of any given song, there is that well known and loved straight ahead rock and roll sound that has made Springsteen famous for nearly forty years. As usual, he has the E Street Band backing him up and they as always, don’t disappoint. Pick any song on this album, even the top ten single “Hungry Heart” and no doubt it will be a good one. 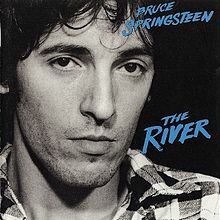 “The River” is definitely Bruce Springsteen at his best and the songs on the album bear testimony to that. It has been considered among his best with “Born to Run” and “Born in the USA” and I can hear why. 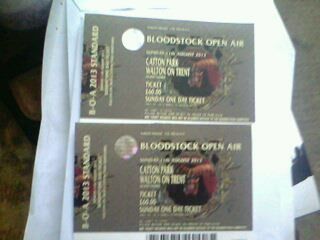 Next post: Will probably come out next week because as already mentioned, I’m off to the Bloodstock Festival on Sunday. Unfortunately, I have to go to the in laws for the next three days after that so I’m afraid you won’t read my account of Sunday until then. But you will get the account. Growing up in New Jersey in the 70s, it would have been an act of betrayal if I didn’t include this classic from Bruce Springsteen. While “The Boss” was still making a name for himself throughout the rest of the world, he was loved as a local boy who was making it good. Therefore not many people living in my neck of the woods were surprised when “Born to Run” sprinboarded Springsteen to fame. One thing I notice about a lot of metal bands who haven’t quite made the big time, (yes I know Bruce Springsteen isn’t heavy metal) is that they are hungry and that hunger is reflected in the music. I can say the exact same thing about the “Born to Run” album. There is a definite hunger reflected in the tracks of this album and it is why many Springsteen officianados say that it is his best of all time.